The fourth MTBMeetup took place over three days last weekend (2nd, 3rd & 4th of June) at Coed Llandegla. The format evolved slightly for 2017. Fewer demo bikes, more independent traders. A shift towards a festival feel more than a bike show and the feedback was superb. Everyone had a great time meeting fellow twitter-folk, engaging with customers, meeting the retailers and enjoying the free beer and cake. The now infamous raffle saw the biggest prize haul so far and of course there was plenty of riding bikes too! Alongside the main events on the Saturday, an evening ride was added to the mix on the Friday night. 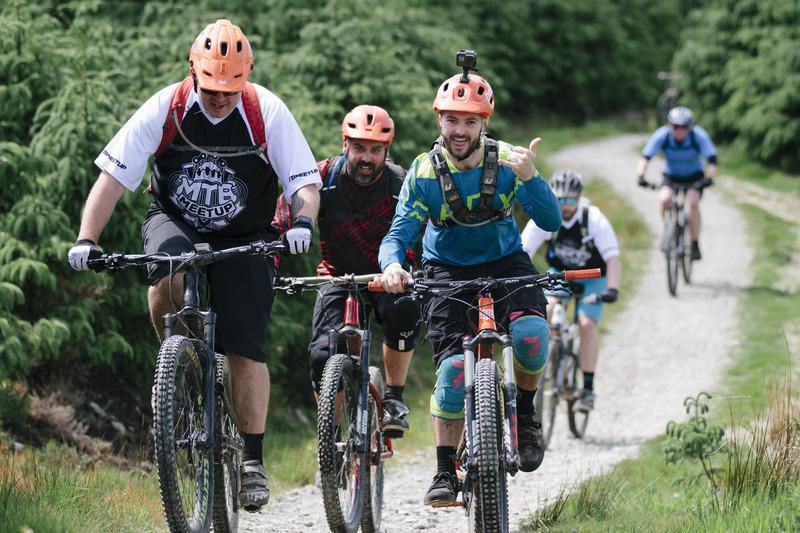 The team from Ride North Wales took the opportunity to take riders out on the natural trails around Llandegla and explain a little bit about the wildlife on the way. The ride took in the community run Raven pub in nearby Llanarmon for Fish and Chips and a few pints before returning back to the campsite. 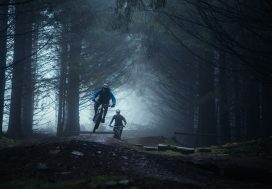 On the Saturday, gnarly girls and endurance racing lads, kids with lids, mums that ride and dads that shred all descended on the sunny Coed Llandegla for a day of socialising and riding. After a lazy Sunday morning, those wanting to extend the event headed out on the trails of Llantysilio Mountain. MTBMeetup is a group of friends getting together to organise a free social event which raises loads of money for charity. 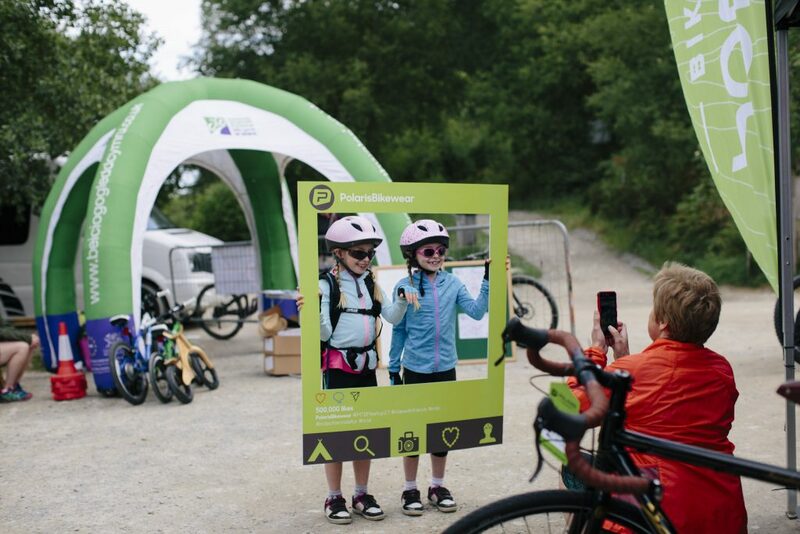 With charitable donations approaching £2,000 for the Welsh Air Ambulance and attendance holding steady at over 1000 people this year, the gathering has found the right level, tone and pitch which sets it apart from any other UK bike event. 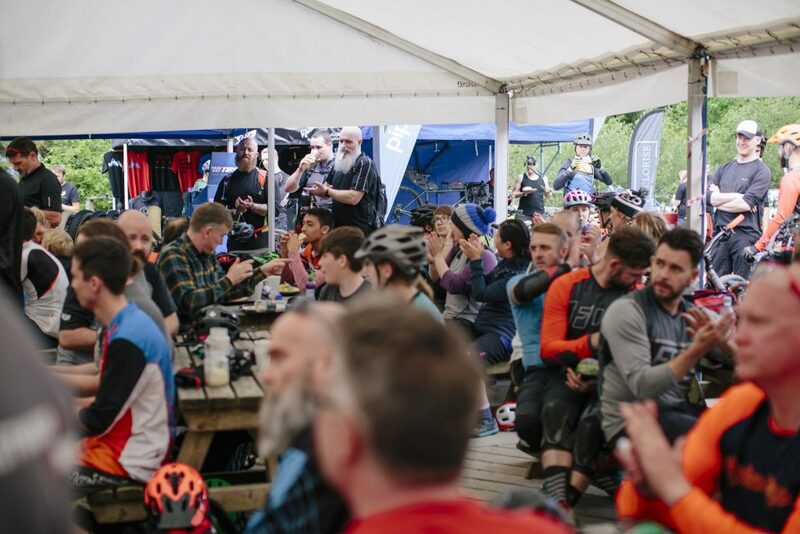 It stays true to its ethos of being a bunch of people getting together to ride bikes, a true cycling festival. To find out more about MTB Meetup and to get involved follow @MTBMeetupUK on twitter or Like us on Facebook.